You can save up to 20% (even as much as 30%) on your Google Shopping Ads-spend right now. Why? Because Google has opened up their Google Shopping platform (Long story - involving €2.4 billion fines for Google and EU antitrust rulings!). This is to increase the competition on their Shopping ad space - so they are offering favourable CPC rates to advertisers who use the new CSS format. What this means: Where you earlier could only sell on Google Shopping via Google itself - now you can sell via multiple third-party solutions (CSSs) that give you massive savings - as long as they have been approved by Google. Lots of people (us included!) are getting very excited about CSS, but why should you care? We take a look at what it means and the changes it will actually mean for you and your business. Comparison Shopping Partners are certified CSSs that have completed in-depth training to help businesses make the most of Google Shopping Ads. Choosing to use a CSS will give you savings on your Google Shopping Ads, because they are currently able to buy these Ads at wholesale rates that are 20% less than the same inventory via Google Ads, and are able to share the saving with the owner. Q. Where will my CSS ads be displayed on Google? A. Implementing this solution covers 80% of possible Google Shopping ads. Therefore, you must continue operating your existing solution to cover the last 20%. The reason for this is that Google has not yet opened up for the Google Shopping tab and image searches for third parties. This share that is unavailable (currently around 20%) is likely to grow over time, as Google prioritizes the Google Shopping tab. Q. Will I need to create a new Ads account? A. Your CSS provider will need to create a new Ads account for you, which you will get complete access to. The structure of your existing adwords account can be directly copied, so it's only the history that would need to be rebuilt. Depending on the size, you can set up automation in 1-2 weeks, giving you a hands-on start to make sure there is the right allocation of spend between the existing account and the new setup. Q. Will the payment for clicks continue to be based upon who is the established payee in the Google Ads account? A. Yes, the person who is set up as paying on the account (by the owner of the account) will also be the person who pays. Q. Do I need to use a CSS? A. There is of course no obligation to use a CSS but if you choose not to, you will lose comparative advantage in Google Shopping. Q. What do the quoted savings (e.g. 20%- 40%) apply to? A. These savings only apply to your Google Shopping, so it is not your overall ad spend but just the Google Shopping part of it. Q. How long will the savings last? A. As you can imagine, Google probably don't want these big savings to continue! Once the EU is satisfied that Google is no longer dominant (with many new advertisers competing) these savings will probably start to be minimised. If you want to see the benefits, those who act fastest will be the biggest winners. 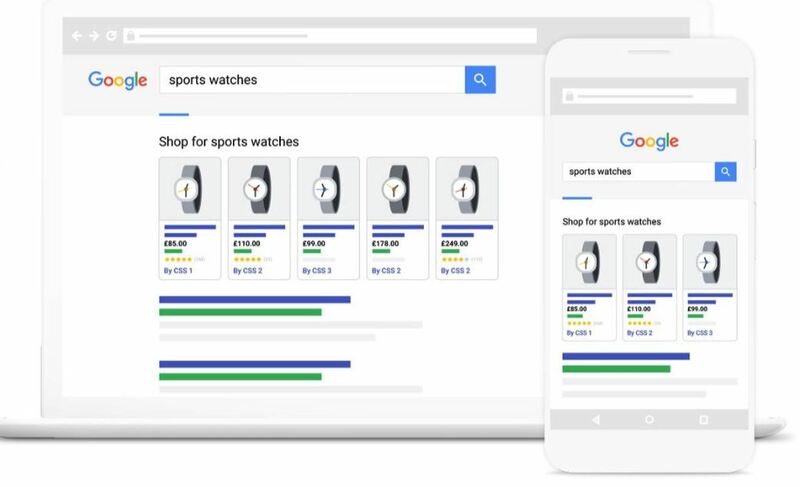 Using WakeupData ensures not only that you will be given significant savings on your Google Shopping media spend, but we plan in setting you up for success in the long-term future, as our core business has been Product Feed optimization since 2014. You will get access to the full power of WakeupData's feed management and optimization tool, ensuring a long-term future of consistently beating the competition. Furthermore, you are guaranteed a flat fee and full transparency in all our work, so we focus entirely on giving great feeds with a CSS solution that provides world-class performance and delivers your 20% saving on your Google Shopping Ad-spend. You and your clients receive our high-level support and can become more successful while we grow together in the years to come. or visit our CSS webpage to find out more.